1. Homeschooling is life changing. It creates personal growth for both the parent and the child. You (the parent) get a second chance to re-discover your own special genius, while you help your children discover theirs. Nothing you will ever do will have a more profound effect on your child and your family's future as homeschooling. 4. Homeschooling is legal option for educating your child. 5. It does not take six to eight hours a day to homeschool your child. Most of the time children spend at school consists of waiting. Design a plan that works for your family and be prepared to scratch it several times and start over. Don't sacrifice your family's happiness to "school" your children. There are many ways families homeschool; find what works for you and your family. 7. You will not have to teach algebra unless you really want to. It is not necessary to teach pre-algebra to ten year olds. When your teen decides to become a scientist or is ready to explore the requirements of college admission, together you will explore the ways they can learn algebra: in a community college class, with a tutor, or through text books. After years of using math in their daily lives, homeschooled teens are well equipped to teach themselves higher math. Don't worry about it when they are ten. 8. You will question yourself a lot. Maybe several times a day in the beginning. This is normal. 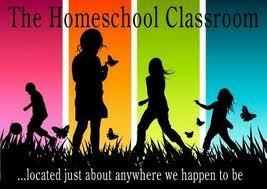 Find a fellow homeschooling friend. Support each other. Tell each other that it's okay to sometimes feel that your children didn't seem to learn anything on a given day. They did, and so did you! 9. You do not have to starve or live in a tent to homeschool your children. Thousands of homeschooling families are able to make the money they need and homeschool their children at the same time. While you create a family business or dream job or restructure your current job, your children will learn the most important skill of all - how to create the life of their dreams.